We have a number of horses at Tyre Hill Racing Stables that are available for syndication. If you’d like to be part of an ownership syndication, please get in touch and we’d be happy to provide further information on the horse of your choice. 2015 by Arctic Cosmos ex .. This 2015 son of Arctic Cosmos is a good looking & upstanding individual who looks like a future chaser in the making. He was broken in during summer 2018 & progressed into full training before being turned out to enjoy the spring grass allowing him to fully strengthen & mature before a return to training in summer 2019. 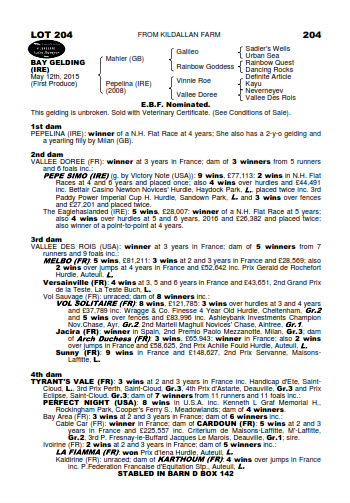 This gelding is available for sale or syndication in shares ranging from 25% - 100%. 2015 by Mahler ex Venusor.. This 2015 son of Mahler is a good looking & scopey individual who looks like a future chaser in the making & even features our own stable star Final Nudge in his pedigree. Broken in earlier in the summer 2018, he progressed nicely in his work on the gallops before being given a spring break to allow him to strengthen & mature. This 2015 son of Mahler is a great looking & suitably workmanlike individual who possesses a very athletic step. 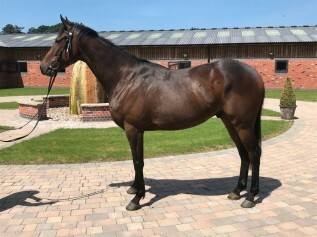 Currently in full training, we look forward to watching him progress in his work here at Tyre Hill Racing Stables before making his racecourse debut. 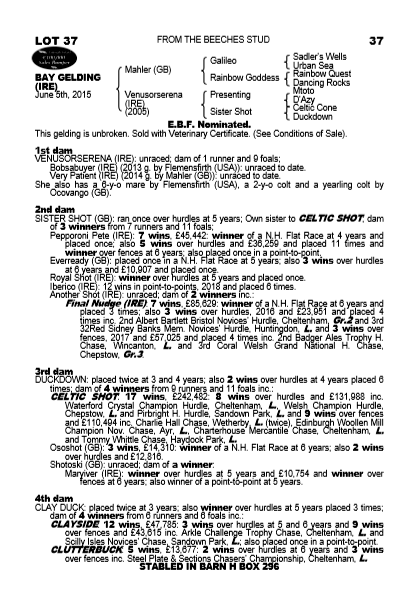 This gelding is available for sale or syndication in shares ranging from 25% - 62.5%. Brunel Woods joined us in early January 2016 and made his racecourse debut in a bumper at Wincanton in early April. This lovely son of Oscar ran brilliantly at the first time of asking where he finished a close 2nd in the ApolloBet Casino & Games "Newcomers" Standard Open National Hunt Flat Race (Div II) and we were over the moon with his performance. Brunel Woods made his seasonal reappearance in November 2016 finishing 7th in a bumper at Uttoxeter and came on for that run to finish 3rd on a further two occasions in bumpers that season. Brunel Woods made a very pleasing start to his hurdling career at Worcester in October 2017 finishing 2nd on his debut over obstacles & made a return to the track just over 12 months later at Huntingdon in December 2018 where he ran a little too keenly but settled much better next time out at Leicester later that same month. 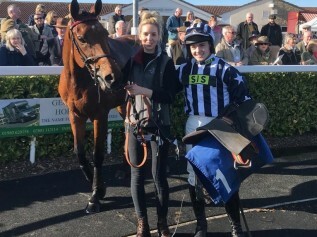 Since then, Brunel Woods showed plenty of promise when finishing 4th on his two most recent starts at Hereford in March & Bangor in April & we now look forward to watching him progress throughout the season for his owners The Dobbin Club & Partners. 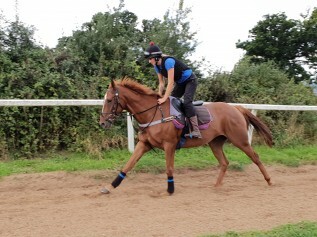 Brunel Woods is available for sale or syndication in shares ranging from 10% - 30%. Deauville Dancer joined the yard in October 2015 having already shown plenty of form on the flat with former trainer Sir Mark Prescott. This good looking son of Tamayuz is a fine stamp of a horse and was a previous winner of three races on the flat over 1m6f & 2 miles. Since making the switch to the NH sphere & a win over hurdles in June 2016, Deauville Dancer has since excelled over fences winning five times throughout the 2017/18 season including his first victory at Huntingdon in May 2017 when landing the 188Bet Handicap Chase, you can watch that race HERE. Since that first win, Deauville Dancer made it three on the bounce at Doncaster in December 2017 when victorious in the Betfred Supports Jack Berry House Chase & took his chance in the Topham Chase at Aintree where he jumped the Grand National fences brilliantly to finish 12th before going onto finish a nice 4th at Sandown next time out in the bet365 Josh Gifford Novices' Handicap Chase. Deauville Dancer was again soon off the mark this season landing the Starlight Wishes Handicap Chase on his second start of the campaign at Kempton on 26th November 2018 & improved his chasing tally further to seven wins & with another victory in the South West Racing Club Handicap Chase at Wincanton in March 2019. 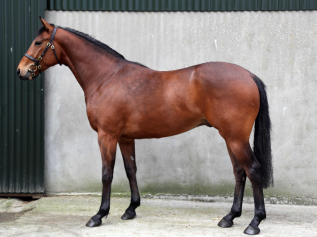 Deauville Dancer is available for syndication in shares ranging from 10% - 90%. 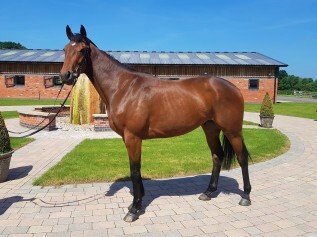 Hahadi joined us in August 2018 having been running in point to points in Ireland & winning on his most recent start at Bartlemy in May that year. Hahadi made his yard & UK debut at Ffos Las in November 2018 where very heavy ground undoubtedly played a part in him pulling up on his first start over hurdles. 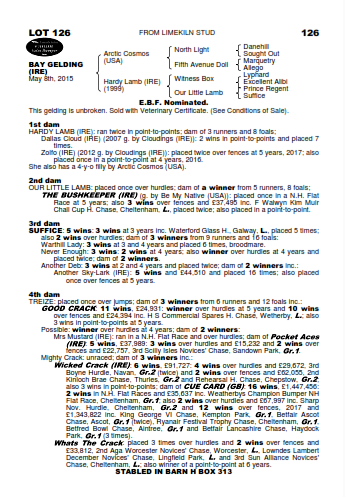 He then ran with much more promise on his next start when finishing 6th in a novice hurdle at Southwell in December 2018 & ran a lovely race finishing 3rd on his latest outing at Stratford in March 2019. A fine looking rangy gelding who looks every inch a future chaser, we now look forward to watching him progress throughout the season. Hahadi is owned by Legacy Racing & there are currently the last few shares available in him.